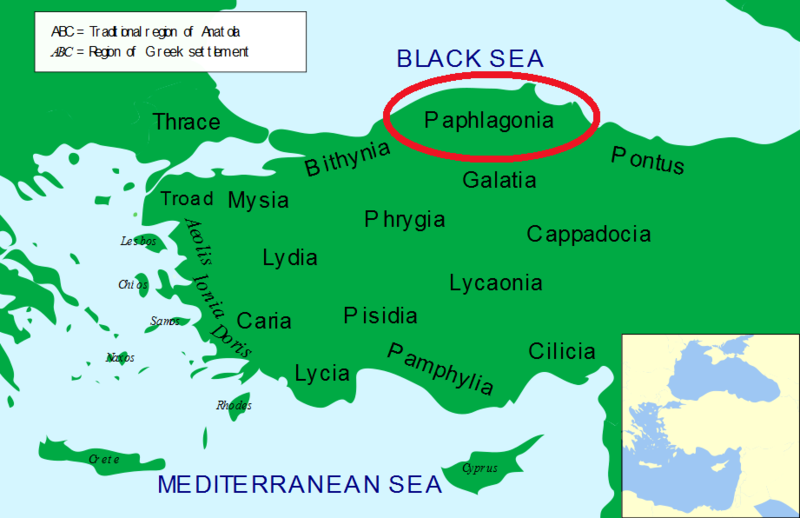 Paphlagonia was a rugged mountainous area on the Black Sea coast of north central Anatolia, between Bithynia to the west and Pontus to the east. After the death of Alexander the Great, it was assigned, together with Cappadocia and Mysia, to Eumenes. However, it continued to be governed by native princes until it was absorbed by Pontus. It was not until 183 B.C. that Pharnaces took Sinope under their control. From that time, the whole province was incorporated into the kingdom of Pontus until the fall of Mithridates to Rome in 65 B.C.